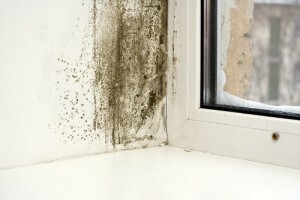 Most people cringe at the thought of mold living inside their home. It seems like something that only happens in dark, wet corners of a basement, not something that invades a clean living space. Unfortunately, mold is way more common than you might think. Many people are unaware of the warning signs, which allows the mold to infest more and more until, seemingly out of nowhere, you have a big problem on your hands. In order to avoid discovering a full blown mold infestation, 911 Restoration has some advice on what to look for when it comes to identifying the warning signs that mold might be present in your home. It is important to pay attention to these signals, not only to protect the structure of the home, but to also protect the health of your family. There is a smell you do not recognize that you are suddenly noticing all the time. Mold has a very distinct smell. It is a pungent odor that has a musty, dank component to it. The more mold grows, the more the smell builds, so if you notice a foul scent that won’t go away, that is a pretty good indication that there might be mold growing in the walls. You might smell it before you see it because it might be living underneath wallpaper, in between walls or in the ceiling. If you see some mold, then that may mean that there is more where that came from. It is common to see mold in the bathroom, usually on the shower walls, the shower curtain and sometimes on the ceiling. This can happen when there is poor ventilation in the room, causing a buildup of moisture and then, eventually, mold growth. Sometimes people even mistake soap scum for mold, since it can have a similar appearance at times. However, if you see mold in another part of the house, especially in a place that has tendency to stay damp and cool, then you may have an issue. In these cases, getting a professional to come inspect for mold may be a good idea, that way you can be sure to nip it in the bud before the spreads. Take inventory of your personal health. This is especially important to do in cases where there are no physical signs of mold, such as odor or visibility. A good indication if there is an infestation in the home is if you notice that you or your loved ones are suddenly having changes in your health. This may come in the form of allergy-like symptoms, congestion, fatigue, trouble breathing and itchy eyes. Usually the ailments stop when you leave the home and persist once you go back into the mold infested environment.